Missiologists have long fretted over the small percentage of African-Americans currently involved in the World Christian movement. For example, only 27 of the over 4,000 missionaries in the Southern Baptist Convention are African-American. Or one could focus on the small financial contributions to world missions by African-American congregations (forgetting for a moment the shameful record of predominately white congregations when it comes to missions giving). Take the African Methodist-Episcopal Church. This denomination gives $250,000 annually to global missions in spite of having 3 ½ million members and 8,000 congregations. That works out to 8 cents per member or $31 per congregation. Those facts (obtained from African-American pastor, Thabiti Anyabwile) are indisputable, though the reasons behind these statistics are complex. Writing in “Perspectives on the World Christian Movement: A Reader,” David Cornelius argues that an absence of African-Americans in missions should not necessarily be attributed to disinterest in missions. He goes on to catalogue the remarkable activities of American slaves in early American history who, against great odds, achieved extraordinarily in the work of missions. Other authors have also taken finger to keyboard to expand on Cornelius’ list. But progress is happening on this front. One recent encouraging development has been the establishment in 2014 of NAAMC (National African-American Missions Conference; go to http://www.thenaamc.org/ for complete details.) Due to the missions vision and dedicated efforts of David Perrin, this conference emerged as one of the key tools of the Church for the mobilization of the African-American community to a vision for reaching the nations. Bishop Perrin is a graduate of Carnegie Mellon University, Pittsburgh, Pennsylvania, and Gordon-Cornwell Theological Seminary, South Hamilton, MA, (M.T.S. ), and has done doctoral work at the Howard University School of Communications (A.B.D), Washington, DC. He is presently the Senior Pastor of Christ Kingdom Church of District Heights, Maryland. June 21-23, 2018, will mark the fifth consecutive year that the NAAMC conference will have been held at the facilities of McLean Bible Church (8925 Leesburg Pike, Vienna, VA). The theme this year is “The Power of Partnerships” and the plenary speakers include Karen Ellis, Bobby Gupta, and George Verwer. In 2013, while Bishop Perrin was dreaming about the first NAAMC conference, another African-American with a passion for the nations, Bonnie Adams of Lynchburg, VA, was also responding to a strong sense of calling. The emergence of “Fishers of Men” (https://www.fishersofmeninc.org/) was Bonnie’s response to her strong passion for reaching the nations. Bonnie obediently answered God’s call to apply her understanding of the biblical, historical, cultural, and strategic perspectives on missions by forming Fishers of Men, Inc., a non-profit missionary sending organization focused on mobilizing African-Americans for world missions. Its mission is to facilitate an indigenous, self-replicating, church-planting movement among unreached, unengaged people groups around the world where Christ is not known by committing financial, educational, and practical support to missionaries and mission agencies. Bonnie even owns a B & B in downtown Lynchburg. “Lydia House” provides a platform for Bonnie to not only provide for personal income but for hosting visitors who are engaged in mobilizing African-Americans missions. Recent developments in the mobilization of African-Americans and African-American churches are incredibly encouraging. 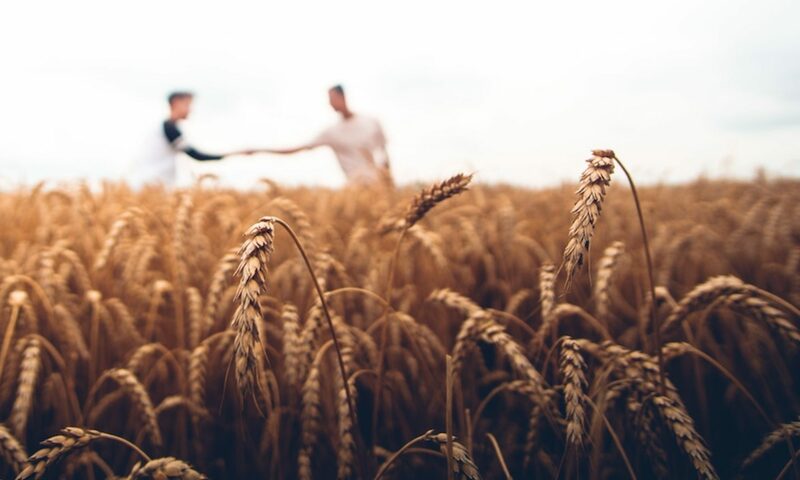 A fresh momentum for reaching the nations among any demographic segment of the Church is God’s answer to the prayers of Jesus’ disciples who “pray to the Lord of the harvest to raise up laborers for the harvest” (Mt. 9:38). Sometimes I think I’m at an age where I should be fully prepared for spiritual warfare. But the hits keep coming and I still frequently fumble the ball. Most of the attacks come when I’m least prepared. Every significant war, battle or conflict is characterized by surprise attacks. The enemy looks for the unguarded moment, a chink in his opponent’s armor to launch an assault. A recent skirmish came in the form of technological failures in the midst of a flurry of ministry activity. Though my computer-savy son might disagree, I don’t think I’m completely technologically hopeless. But significant upgrades to my laptop were long overdue and I had to bite the bullet and jump into the abysss. (I will spare you the details.) Though I’m still in the midst of trying to find my way through the mess, I have found some grace. Perhaps you will find some encouragement here, as well. One difficult aspect to spiritual attack is the feeling of helplessness we experience. The enemy knows how to attack at a point of weakness where we will feel most vulnerable and unable to fight back. This is frustrating until we realize that we are powerless to resist and our response must take another form. A second facet is that the enemy attacks at such inconvenient times! At the conclusion of Jesus’ temptation in Luke 4:13, we are told that the devil “left him for a more convenient time.” It was Satan’s intent to come back to continue his harrassment of Jesus, but his return would be at a time convenient to Satan, not to Jesus. Jesus’ next encounter with the devil will not be a conveniently-scheduled appointment, and we should expect nothing less than an attack at the most ill-timed moment. Finally, spiritual attacks generally come as a surprise. I was not expecting a bout with the enemy, particularly one that focused on my laptop and software. Where do you expect an attack to come in your life? Well, get ready, because the enemy is already looking to surprise you with a whole new means of assault! These three aspects of spiritual warfare often converge, as they did with me. The attack not only was directed at a point of personal weakness (technology), but it came at a time when I felt that I could least afford the distraction and interruption (a busy time of ministry), and I was blindsided. “He [God] wants them [new Christians] to learn to walk and must therefore take away His hand; and if only the will to walk is really there He is pleased even with their stumbles. Typical C. S. Lewis as he nails it with a few well-chosen words. But then there is serendipity: an accidental and pleasant discovery. In the midst of the assaults of the enemy, there is a metamorphosis. A flower bursts through the pavement in a parking lot. Beauty can emerge from ashes. Mourning is turned to dancing. A candle transforms the darkness. The ugly caterpillar mutates into the beautiful butterfly. And hideous infirmity and weakness is serendipitously transmuted into a work of grace and joy. It’s as if God is just waiting for the most unlikely of opportunities to reveal himself. When Paul was bedeviled by his “thorn in the flesh, a messenger of Satan” (2 Corinthians 12), serendipity occurred. Grace showed up to diminish a perceived liability to Paul’s ministry. Infirmity becomes strength. That is so much like God, isn’t it? Paul’s dialogue with God in prayer in II Cor. 12 was the turning point, as it was for me and can be for you. The solution for these attacks is renewed prayer. The helpless gain power through supplication. Alertness readies us for the “more convenient time” when the enemy will inevitably show up. Persevering in prayer guards us against those surprise attacks that catch us off guard. May grace show up in your life today. In the first six chapters, the authors have been compelling in their assertion that, unless we extremely dilute Jesus’ Great Commission mandate, not everything can be missions, and not everyone can be a missionary. While they previously have given a few practical examples to show how wrong thinking in this area leads to negative outcomes, chapter seven is where Ellison really puts poor thinking about missions “in his crosshairs” (p. 92). What many have done is treat Acts 1:8 as a model of outreach where we minister in concentric circles, sort of like what happens when you throw a stone into a pool of water. The thinking is that we start with those geographically closest to us and move on out from home base. So, a church leader might say, “we are on mission right here in our back yard, our Jerusalem, and when we grow more disciples here and our church is bigger, we will go to our Judea and Samaria, and someday we will go to the end of the earth” (p. 109). But there is an additional reason for not taking Acts 1:8 in the normative way many evangelical churches do when they suggest that Jesus was thinking that the disciples should develop ministry within their own comfort zone at home, then and only then strategizing how to move out cross-culturally into regions like Judea, Samaria, etc. The problem here is in equating Jerusalem with our home base and deciding that we should start with our home area and then move out from there. Not only was Jerusalem not home for the disciples (Galilee was), but the religious leaders were quite hostile to the disciples in Jerusalem, so much so that the disciples felt like they needed to hide. The authors point out that handing off the baton “implies we are no longer in the race” (p. 111). Sadly there are far too many leaders in the West who are quite happy to acquiesce by either appealing to the “we are empowering the national by pulling out” argument or the “God has brought the nations to our shores so we’ll just reach them here” argument. While this may sound great at an elder meeting, it is wrong-headed and has many unintended consequences that the authors have already addressed. If you have been looking for some new quotes to exhort people for missions involvement, go no further than pp. 112-113 where a missionary named David Hosaflook (a name that would make Winkey Pratney proud) is quoted. It is powerful and compelling stuff that really gets your attention and prepares the reader for the antidote that the authors prescribe. The antidote, by the way, is a seven- step solution (“Foundational steps toward implementing our mission,” p. 114) that can be applied both personally and corporately. In discussing Matthew 28:18-20, Ellison quotes David Mays (who left this world far too early and we really miss him): “The object of ‘disciple’ is ‘all nations.’ Jesus did not say to disciple, or to disciple your family, or disciple whomever happens to be near, or disciple people in your community, or disciple the people like you. He said to disciple ALL NATIONS, i.e. all peoples, all ethno-linguistic groups. ‘Make disciples’ cannot be divorced from ‘all nations.’ It is not fair, not legitimate, not biblical to claim the Great Commission for your church purpose and neglect the nations. It is to use the Scripture like a drunk uses a lamp post, for support rather than illumination” (p. 119). As we finished this book we found an appendix chock full of great application questions. This is just the kind of book a church missions leadership team should read and discuss together. The discussion questions in this appendix would be helpful both for personal application as well as group study. In closing, let us say that we hope that these chapter summaries/reviews have been helpful. When we started this endeavor, we did it mainly because we knew and respected the authors. As we got into the book however, we really saw that this is a book that is incredibly timely and feel that Spitters and Ellison have accurately discerned some serious missions issues confronting the church and have faced them head on. We have purchased multiple copies that we’re going to be using with key people we work with. Our guess is that there will be future orders. So, a big “thank you” to the authors for taking the time and energy to produce this valuable additional to current missions thinking. Those who read and use it will not be disappointed. This post has been excerpted from Robin Barnes’ blog “Spiritual Grit” (spiritual grit.com). It is a brief telling of the story of my experience with extreme anxiety while in the midst of ministry. While in seminary in the early 1970s, I was the part-time pastor of a small church. A dear, godly, woman in my congregation was struggling with a sense of anxiety. Things were not right for “Connie,” but she couldn’t quite put her finger on what was wrong. Thinking this was a sin or spiritual problem, she was desperately applying herself to biblical disciplines, but with little success. I did my best to help her in spite of my limited understanding of her needs. Having had little experience with emotional problems, my only framework for counsel was my seminary training. And so I talked with her about prayer and trusting God. But nothing I said had the slightest impact on her struggles. In spite of excellent seminary training, I lacked the ability to help people like Connie. And, since I had never personally had to deal with those problems myself, I didn’t even really understand what they were going through. A few years later I was surprised to receive a jubilant letter from Connie. Her doctor had diagnosed her as hypoglycemic (low blood sugar). After medical and dietary solutions were implemented, her symptoms quickly disappeared. Regretting my failure to give her the most basic guidance, I was nevertheless delighted with this outcome. But I learned a powerful lesson through that ministry “failure,” a lesson that would stand me in good stead in my own time of personal crisis. All that was to change years later. Fast forward to June 2015 when, for the first time in my life, I was blindsided by a smothering cloud of anxiety. It came on the heels of a very busy few months that ended with a stressful missions trip to Asia. When I got home, I found myself psychologically paralyzed. I was unable to function on the most basic level. Though it only lasted two days, such crippling anxiety was very distressing. I was relieved when the symptoms quickly went away and life returned to normal. But in early March 2017 the debilitating fist of anxiety got its grip on me on a second occasion, this time with a vengeance. This was an engulfing 24-7 tidal wave of crushing angst so distressing that life seemed unbearable. Nothing escaped my “worry radar” as I found myself in a state of constant anxiety about every conceivable thing. After the symptoms lingered for a week, I sought medical help. I was fortunate to have a sensitive, caring, and knowledgeable doctor. She listened patiently, ordered a battery of tests (which showed no evidence of medical abnormalities), and prescribed a low dose of a mild medication. After a few weeks, I stabilized. Now, six months later, the symptoms have not returned, and I am grateful. When it comes to anxiety, most people can be divided into at least two major groups. First, there are those who have never been seriously impacted by emotional imbalances. I spent the first seven decades of my life in this first group. The second group would be made up of those who have anxiety on the level of “a disorder.” This is worry on steroids. After sharing my struggles in an April 2017 newsletter, I learned that there are far more in this second group than I could have ever imagined. Though I only joined their ranks for a couple of months, I have learned that there are no guarantees. I’ve also learned that, whether anxiety grips us like a vise or we are giving care to others who are struggling, it is essential that we take the challenge seriously. Advice like “pray more, read your Bible, confess your sin,” and “go to church,” are helpful when the struggle is spiritual in nature, perhaps the result of sin. But when the problem is physical or emotional, the sufferer must shift into a different gear. Since those who deal with anxiety are usually already crying out to God and dealing with sin problems, simplistic remedies are inadequate. But this does not mean that there are no options. In my case, getting my physician involved was a no-brainer. In addition to medical causes, there can also be dietary issues, hormonal imbalances, results of stress , sleep deficiency, genetic factors, and even spiritual warfare to impact our emotional well-being. In my case, my physician was very helpful, so I did not pursue counseling or therapy. However, if the problem had persisted for very long, that would have been a logical next step. The combining of physical, emotional, hormonal, dietary, and stress factors with spiritual warfare can make one dizzy with confusion. To this day, I cannot confidently state the exact cause of my brief skirmish with anxiety, though I know that stress was a factor. Nor am I certain what action I took that ultimately led to my return to normalcy, though I do believe medication, prayer, and a lightening of my schedule all played a role. ◆ Visit your doctor and have a complete physical checkup. ◆ Temporarily scale back your ministry to allow time for rest, recreation, reading, and renewal. This may prove to be of immense help. ◆ Don’t hesitate to take a medication prescribed by your doctor or psychiatrist. Whether for the short-term (like me) or the long-term (like many), this can often help to stabilize you so you can function normally. ◆ Learn to anticipate, recognize, avoid, and defuse stressful situations that may trigger your symptoms. For those engaged in intense ministry, engagement on the front lines of battle is an invitation to stress and attacks. As a result of my hitting the wall in April, I have discovered that many full-time Christian workers as well as other believers are experiencing a virtual avalanche of disorders and phobias. This is a great strategy of the enemy to neutralize the effectiveness of those serving the Lord. Recently I was having breakfast with missionaries whom my wife and I support. I was surprised to discover that the wife, a normally joy-filled and vivacious person, had recently come through a devastating season of anxiety that was virtually identical to my own recent experience. Her case was so severe that she had been admitted to the psych ward of her local hospital. The person we might think least susceptible does not have an exemption from this affliction. Whereas previously I would have commiserated with her but would have been unable to identify with her struggle, I realized I had a newfound understanding and admiration for people like her who battle any kind of mental or emotional imbalance. Before I had opinions (what one Bill Bullard called “the lowest form of knowledge”); now I have empathy (“the highest form of knowledge, for it requires us to suspend our egos and live in another’s world”). Of course, the greatest “empathizer” is Jesus, who suffered in a body like ours. We take great comfort in the knowledge that he sits at the Father’s right hand, making intercession for us because he truly “has lived in our world.” Certainly his “troubled soul” (Jn. 12:27) and his agony in the garden (Luke 22:39-46) provide needed comfort that, when we are grappling with emotional disequilibrium, he most assuredly understands. One final suggestion is I would make is this: During your affliction and after you are delivered, be willing to talk about your experience with trusted people. If God was gracious enough to intervene in your life to protect his reputation (Psalm 109:21), he deserves to have your story shared so that he can get the glory he deserves. To this point, the authors have been compelling in their assertion that, unless we extremely dilute Jesus’ Great Commission mandate, not everything can be missions, and not everyone can be a missionary. While they previously have given a few practical examples to show how this wrong thinking leads to negative outcomes, in this chapter Ellison puts poor thinking about missions “in his crosshairs” (p. 92). As Matthew squints through his rifle sight, he spots his prey: “We had been talking for a few years to explain why churches weren’t doing missions well and felt that one of the primary reasons was that they were not thinking about missions well” (p. 91). Go ahead. Read that quote again. His one sentence salvo goes for the jugular. We are not thinking well about missions, and the consequences for the Church and missions are staggering (as his practical examples will illustrate). For Ellison, sloppy thinking about missions has led to the “broadening of the definition of missions, which has inevitably led to a philosophy that says that every follower of Christ is a missionary” (p. 92; Spitters tackles that same issue in chapter 4). For Matthew, a Chinese proverb highlights the dilemma: “When two men own a horse, it will starve; when two men own a boat, it will leak” (p. 99). We marginalize the cross-cultural task of taking of the gospel to the nations when we lump it in with every other good thing followers of Jesus are called to do. If you have read the book or followed these reviews (or both), you may have noted a recurring theme that challenges a popular missions tune. The well-known lyrics suggest that all of the church’s good works and evangelistic efforts can be construed as misssions. While not denying the importance of deeds of mercy and works of justice, Ellison (and Spitters) contends that our faulty thinking must be replaced by a perspective that sees the entire Bible as requiring the church to view missions as cross-cultural. As hinted above, Ellison helpfully supports his argument by discussing several examples of mission organizations, mission leaders, and church philosophies that illustrate his concern. As an aside, we must point out that just a few years ago financial scandal (not missiological flaws) forced Yohanan to resign as CEO of Gospel for Asia. But was the financial crisis actually due to faulty missiological thinking? Not necessarily. Ellison may not be blaming the financial crisis at Gospel for Asia on faulty missiology, but the wording of the first paragraph on p. 93 seems to leave the door open to allow for that possibility. At any rate, undergirding Ellison’s comments is the idea that, to be biblical, missions must be cross-cultural. Yohanan became well-known by touting the economic and logical pragmatics of westerners funding “native missionaries” rather than sending western missionaries eastward. While Ellison makes it clear that he is not opposed to indigenous ministries expanding the church within their own culture, he also sees that the glaring problem with Yohanan’s approach is that these “native missionaries” are actually “indigenous and local” (p. 93), typically not cross-cultural. Financial matters aside, Matthew is spot on with his assertion that it cannot be assumed that indigenous, local, native pastors are necessarily doing the work of cross-cultural missions. Finley is quoted as defining the rationale behind this movement: “It makes no sense to spend $60,000 of God’s money annually sending an American with his family to live as a missionary in a poor country where hundreds of local citizens have been called of God to reach their own people and have no personal support. Any one of them, already knowing the local languages, would be ten times more effective than the foreigner…In many countries the support package of one American could supply the support and ministry needs of 50 native missionaries” (p. 94). Finley makes a pretty strong case for “native missions.” Joe and his wife have even supported some themselves, only to discover that native missionaries were not, in many cases, breaking new ground for the spread of the gospel among India’s thousands of unreached people groups as the literature suggested (p. 94). (2) Large numbers of churches in the West, convinced that they could better fulfill the Great Commission by supporting non-Western workers, were “manipulated to buy missions ‘on sale’ and write checks rather than send their own sons and daughters. The multi-million dollar native missionary empire was born” (p. 95). Many of us may have served on a church missions leadership team. We have been awakened to the need for every people group in the world to have a witness. We look at our small part in seeing that happen and reason that we can get to the target much faster if we just send our funds to these organizations and they will make it happen. Everybody wins right? The gospel gets preached faster and more effectively AND we get to spend those funds on other things. In refuting this kind of thinking, Ellison quotes Robertson McQuilkin: “God never called us to send others in our place. He called us to go!” Of course, while recognizing that this has a strong ring of truth, it must be held in tension with an example like the Antiochean Church in Acts 13. There the majority sent others in their place while staying home to support them. The history of missions, from the first century to the present, has been about “sending others in our place” while not allowing our sending to simply be a substitute for our going. Ellison should not be construed as rejecting the concept of “missions sending,” however. We know that Matthew recognizes our caveats to McQuilkin’s theorem: (1) While Ellison gives the quote in the context of a discussion of paying “foreign native workers” by proxy, McQuilkin was not speaking to that point; and (2) like us, Matthew and Denny are also primarily mobilizing senders. In fact, the bulk of their (and our) lives have been devoted to sending and mobilizing, not primarily going. Ellison goes on to say: “I am coming to believe that when we sponsor proxy soldiers to advance the global cause of our King, we forfeit one of the highest privileges of following Christ and we ourselves are among the casualties. No local church should miss out on the encouragement and nourishment that will come to it by sending its best people” [p. 95]. This is something that church missions leaders urgently need to consider. What is the cost to our own soul when we buy missions on sale and have others we don’t know, will never know, do the work? What great joy do we miss when we don’t encourage our own sons and daughters to be part of God’s plan to make disciples of all nations? A third surprising example is the former (now-defunct) Mars Hill Church, once led by Mark Driscoll (p. 97). Mars Hill (mega-church in Seattle) solicited monies for their global fund but actually diverted those resources to domestic ministry. While a mushy definition of missions may have played a part in this issue, it seems to us that the bigger problem is just outright deceit. If there is a “global fund” that is being mostly spent locally for same-culture ministry, one doesn’t need Nathan the prophet to call this dishonest. Having said that, though, in these times with our failure to biblically define missions, Mars Hill could have just as easily called it their “missions fund,” thus freeing that money for absolutely anything they wanted to do, and thereby avoiding dealing with lawsuits. A fourth example is “College Scholarships as Missions” (p. 99). Ellison mentions that he once worked with a church that was using its missions budget to pay for college scholarships for students attending their denomination’s university. It’s easy to see how this can happen when everything is missions. We have run into the same problem in coaching church missions committees. For many churches “missions” is just another name for “miscellaneous.” In other words, if there is an expenditure that doesn’t naturally fit a specific category, it just gets labeled as “missions.” David Mays used to say, “it’s really hard to get a congregation excited about ‘miscellaneous.” Many of us grew up in traditions which viewed missions as “doing something good for someone who is somewhere other than where we are right now.” Ergo, everything is missions. A sixth example is the evangelical penchant for seeing “Christian radio in the US as missions” (p. 101). However, while Matthew is right in saying that the reputation and history of American Christian radio is primarily as an outreach to Christians, we recognize that those trends are changing as more and more Christian stations are doing less overt Bible preaching and beginning to play Christian music that is palatable to the ear of unbelievers. Nevertheless, that it is doubtful that most Christian radio stations in America are crossing cultural barriers to reach the unreached is a point well taken. More disturbing are the statistics given about what percentage of our declining workforce of missionaries are working with the world’s 2.7 billion unreached individuals (less than 10%), and how much church spending is focused on the unreached (.5%). These figures seem to take the air out of the argument that calling every Christian a missionary will elevate the spread of the gospel. Global outreach among the unreached seems to be the primary casualty of our failure to be biblically rigorous in positing a clear definition of missions. So, to circle back to the original purpose of this chapter: “So What?” Ellison’s paragraph really says it all: “I contend that one of the key misunderstandings that brought us to this point is the teaching that every follower of Christ is a missionary. Poor missions thinking led us to poor missions practice. If everyone is a missionary, then local Christians ministering to their own communities overseas are missionaries. In fact, all of us in America are native missionaries. In fact, you’re a native missionary, I’m a native missionary – absolutely every follower of Christ is a native missionary” (p. 95). Definitions really do matter. While the “everyone is a missionary” thinking may not be the only reason we are seeing a decline in the number of missionaries sent from the west, it is definitely a contributor. Matthew closes the chapter in the same way he opened it (with Rev. 7:9). Here is a picture of heaven where a great multitude that no one could number, from every nation, from all tribes and peoples and languages, stands before the throne and before the Lamb. This is where the whole Christian enterprise is headed… to see “every nation” before the throne and in large numbers. We concur with Ellison’s contention that prevailing thinking and definitions about missions isn’t going to get us to Rev. 7:9 unless something changes. Definitions matter. Does calling every Christian a missionary “lead to more missions work being accomplished or less? The answers to these questions matter. They matter in significant, serious and eternal ways” (p. 106). We couldn’t agree more. The chapter opens with a real life example of two young men who went on missions trips to different remote locations and document, all for a video documentary series. They went to an area, shared the gospel through a translator, and then moved on. Who knows if anyone genuinely came to Christ through this short adventure, and if so, what happened to them afterward? Spitters uses this (admittedly extreme) example to contrast the difference between evangelism/conversion-counting (p. 83) and the real making of disciples. Certainly this is a problem today in the missions world and we’re glad it is being tackled here. However, the title of this chapter is “How are missionaries sent?” Our curiosity has been piqued as to how this example ties in. We’ll report our exciting findings at the end of this review. Spitters backs up his assertion “If missionaries are sent-ones, they don’t just go to the lost and unreached, they are sent to the lost and unreached,” (p. 83) by pointing out that Acts 13:1-4 clearly demonstrates that the leaders of the Antioch church, after prayer and direction from the Holy Spirit, set apart Paul and Barnabas for missionary service. Whether this is prescriptive (as Spitters maintains, p. 83) that churches at all times are expected to follow this example in sending missionaries, or illustrative (a good pattern to model one’s sending activities after), clearly Acts 13 worked and has much to commend itself as a “model” (Spitters term, p. 83) for 21st century churches. In the first paragraph on p. 83, Spitters appears to blur the lines between two important issues. The first is the importance of discipleship and establishing new disciples into local churches (which is the apparent emphasis of the paragraph). The second is this matter of “ecclesial centrality” in the process of discerning a call and sending missionaries (which is the apparent emphasis of the chapter). These are two different and crucial themes, but it seems to us that introducing the first muddies the waters in this chapter. It should be made clear that the second is the focus of this chapter, not the first. Partnering with a church is clearly fundamental. Many entering missions service see this as a transaction between them and the Holy Spirit, with the church being little more than cheerleader and a source of funding. This shouldn’t surprise us since America is a highly individualized culture and thinking of calling as a group activity is counter-cultural. Just yesterday Joe met with a young man who, though he hadn’t graduated from high school, had already decided to be a missionary and had figured out where he should serve. On the one hand, we rejoice that missions service is on his heart. On the other hand, it is clear that the church did not play a very important role in this most crucial decision. We agree with the authors regarding the vital role of the church in the sending of missionaries. We also appreciate their treatment of Acts 13. Too often, when we think of Paul’s calling, his more dramatic Damascus road experience gets more mileage than a church leadership meeting in Antioch as recorded in Acts 13. After reading the helpful analysis of the role of the church of Antioch in the sending of Paul and his team, we began to wonder whether this chapter might have been strengthened by including a brief analysis of Paul’s partnership with the Philippian church as detailed in his epistle to the Philippians. We do get the sense that the “sending process” should involve more than just “sending” (Antioch) by a local church to also include “partnering” (Philippi) with churches along the way. It certainly seems that Antioch played a vital role for Paul in sending him on all three of his missionary journeys. However, by the second and third journeys, the partnership he cultivated with churches that he had planted seem to be playing a more significant role in his ministry efforts than was Antioch. Rather than contradicting Spitters’ thesis, this two-fold sending/partnering concept serves to further buttress the idea that calling and missions is truly church-centered. Spitters elaborates on how partnership between church and agency and missionary should work at its healthiest (p. 88-90). Figuring out how the biblical missionary/sending church/partnering church triadic relationship works in harmony with the extra-biblical mission agency requires the wisdom of Solomon, or at least the genius of Einstein. There are no easy answers, but we’re glad the subject was broached. After reading the entire chapter, we concluded that the example of sending missionaries captured in the opening paragraphs (p. 81) does fit the chapter title, though we might wish for a more specific example, one more clearly related to the difficult problem of finding churches that truly send and missionaries that are genuinely sent. Though this is a wonderful conclusion to the chapter, there is, of course the other side of the coin: the situation of the missionary candidate who wishes to be sent by the church, but who is part of a congregation that does not appreciate its responsibility in raising up and sending “sent-ones” to the unreached. We hope that, at some point in this book, the authors address this incredibly important and common problem. This is the fifth of eight posts that examine the ideas and analysis found in Ellison and Spitters timely volume. One could naturally get the sense that Spitters is drawing the conclusion that, while all missionaries are Christians, not all Christians are missionaries. But then he quotes a number of famous Christians (Spurgeon, Von Zinezendorf, Alan Hirsch) and one not-so-famous Christian (Winkie Pratney… though with a name like that, he should be famous), who seem to make the case that all Christians are missionaries. However, the crucial point each of these luminaries of varying luminescence is trying to make is that all Christians should be active in evangelism where they are. But does saying that every person should be a witness (evangelism) mean that every believer is a missionary (cross-cultural missions)? Our first thought when reading that is, “There sure are a lot of parentheses.” Our second thought is that Long’s definition would actually rule out quite a number of people who go overseas to do missions. Why do we say this? Well, sometimes missionaries go to places where the gospel is already being shared and the church is already planted. And it is vital for that to happen. Denny acknowledges that the term “missionary” doesn’t appear in the Bible, though that doesn’t necessarily make it “extra-biblical.” Quoting Kevin DeYoung, Spitters concurs that, basically, “a missionary is someone who has been sent.” There are plenty of examples of people being sent, such as Paul and Barnabas in Acts 13. Quibbling over whether or not “mission” or “missionary” are biblical is like arguing about the legitimacy of Trinitarian theology, since the term “Trinity” doesn’t appear in the Bible, either. Nevertheless, the ideas of “missions” and “Trinity” are thoroughly biblical. So, the bottom line is that, in the same way that not everyone is gifted or called as a teaching elder or a pastor (though all believers have the capacity to do some teaching and shepherding), not everyone is a missionary (though each Christian is sent on mission). Before we started reviewing this chapter, we thought we had a good handle on the definition of the word missionary. What this chapter has revealed is that there are a lot of opinions on what is and isn’t a missionary. We would suggest you not get into an argument in your Sunday school class about this. There has been a lot of ink spilled on this and it won’t get settled in a five-minute after-church discussion. To those who think the term “missionary” carries negative connotations from the past, Spitters helpfully alludes to Robert Woodberry’s ground-breaking research (http://www.christianitytoday.com/ct/2014/january-february/world-missionaries-made.html) that indicates that, even though missionaries have made mistakes in the past, by and large the impact of missionary presence has been overwhelmingly positive. So, those involved in missions don’t need to be afraid of the term “missionary.” We are inclined to agree, even as we sometimes find it necessary to rattle off a list of caveats when we use certain terms. I love to highlight agencies and ministries that offer especially helpful tools for churches that are seeking to mobilize their members. Ellen Livingood’s “Catalyst Services” deserves such recognition. The most recent “posting” (the website is www.catalystservices.org) is a perfect illustration of the value that Ellen’s work brings to the table. Titled “Dangerous Missions Shortcuts,” this posting gives a helpful list of seven “hazardous temptations,” (i.e., shortcuts) that churches and church missions committees should avoid if a healthy, robust, dynamic, forward-looking missions effort is to be in place. 7. Outsourcing global missions responsibility. These are each great topics and worthy of consideration. a. the worthy goal – Why do we take shortcuts? There is usually an admirable objective behind the shortcut. b. the dangerous shortcut – What exactly is the shortcut and why is it dangerous? c. where the shortcut has taken us – Here Ellen gives us a succinct summary of what to expect if the shortcut is not avoided. d. getting back on the road – Helpful suggestions are given to practically guide a church back to where it needs to be. I can’t recommend highly enough Ellen’s work, her website, and in particular, this posting. Having taught a large number of missions classes in a wide variety of settings over many years, I have arrived at one firm conviction: members of the evangelical church are overwhelmingly unaware of the presence of missions in the Old Testament (OT). Often when teaching, I might ask the class members to quote a Bible verse on missions. Almost without exception, Matthew 28:19-20 is the go-to passage (with Acts 1:8 coming in a distant second). However, when I follow up with, “Ok. Now how about an OT verse on missions?” I am generally met with blank stares. This suggests that most churches are not teaching missions as the thread that holds Scripture together. Rather, missions is almost a biblical after-thought appended to the gospel accounts after 39 OT books which are presumed to be basically silent on missions. The tragedy of this is seen when one realizes that ignorance of the trajectory of the OT effectively robs the Bible’s cohesive emphasis from Genesis to Revelation. Of course, such a hypothetical conversation is absurd on any number of levels, especially when a careful comparison is done between Genesis 12:1-3 and Matthew 28:18-20. Where Wright sees three specific connections between the two passages, I will highlight his while adding two more to give a total of five reasons to believe that Jesus used Genesis 12:1-3 to commission his Jewish disciples who would have at least a passing acquaintance with Abraham’s commission. 1. “Go.” In both passages, the obedience, compliance, and responsiveness is assumed (both Abraham and the disciples). And this is the opening idea of both commissions. 2. “Be a blessing” (Genesis) and “make disciples” (Matthew). In both cases, a command is given and a task is assigned. That different verbs are used should not surprise the reader. In Genesis, the concern with blessing is paramount if one traces the flow of ideas through the first eleven chapters. In Genesis 1-2, we find that God “blessed” (to enrich, enable, or empower) his creation on Days 5, 6, and 7. But we see in Genesis 3-11 that the creation was sabotaged and the world was brought under a curse due to the sinful pollution of Jesus’ universe. After that disaster, what could be more logical than for God to reintroduce the restoration of blessing in Genesis 12? Abraham and his descendants (Paul fully develops this thought in Galatians 3) are to be the conduit for God to re-establish Jesus’ universe as a place of “blessing” (that is, a site where all things will be able to achieve their full potential in Christ). However, when commissioning his disciples, Jesus doesn’t use “bless” but rather assigns the task of “making disciples.” This is an intriguing command. While the noun “disciple” occurs 268 times in Matthew-Acts (no occurrences in Romans through Revelation! ), the verb “make disciples” only shows up four times in the NT (Matthew 13:52; 27:57; 2819, and Acts 14:21). Clearly it is natural that Jesus would use the term “make disciples” in his commission since that idea of “disciple making” (rather than the act of “being a blessing”) is the heart of his ministry. Nevertheless, there is logical correlation between the two terms. Ultimately both ideas (blessing and making disciples) are focused on drawing people to Christ. Paul points out in Galatians 3 that ultimate blessing is found in Jesus and, of course, those whom Jesus’ followers bring into a “discipling” relationship are expected to be devoted followers of Christ. 4. “Families of the earth” (Genesis) and “nations” (Matthew). Here two different (yet comparable) terms are used to indicate that the focus of the heart of God is essentially ethnic in nature. “Families” (“mishpachah”) is the appropriate word for Genesis 12:3 since that is a favorite term of the compiler of the table of nations two chapters previous (in Genesis 10). The term “nations” (Hebrew “goy”) is ubiquitous in both OT and NT (there it is “ethnos”). As opposed to the modern usage of “nations” as a geo-political entity, the Scriptures use it quite often of ethnic groups. And, because of its prominence in the Greek translation (the Septuagint) of the OT in missiological texts like Isa. 42:6, “ethnos” is a natural term for Jesus to use in the Great Commission of Matthew 28.The primary target of the mission of God to bless and to make disciple is ethnic. 5. Finally, there is the promise in Genesis 12:3 of God’s blessing to those who bless Abraham in his missions efforts, and to curse those who disparage Abraham as he carries out his commission. No one wants to be sent on a challenging mission without adequate “backup.” So this is God’s assurance to Abraham his descendants that they will not be abandoned without divine assistance to carry out this challenging mission. The OT is replete with examples of God both calling his servants and guaranteeing his accompanying presence for those who comply. Likewise, in Matthew 28, Jesus assures his disciples that “I am with you always…” In other words, divine presence is guaranteed to all who engage in God’s mission, whether they are going in obedience to the Abrahamic Commission or the Great Commission. This is a logical “bookend” to Matthew which began with the declaration in 1:23 that the Messiah’s name would be “Immanuel” (“God with us”). From beginning to end (and in the middle – see Matthew 18:20 where Jesus assures his followers that he is in their midst), Matthew’s Gospel is the Good News account of the “I am with you” Savior. These five ideas provide the “glue” that binds Abraham’s Commission in Genesis 12:1-3 to the Great Commission of Matthew 28:19-20. We are assured that the entirety of Scripture is the story of God on mission. And as the people of God we are reminded that the Bible is the story of God’s people on mission. Though at first glance it may not be completely clear to the reader what role this chapter plays in a book titled “When Everything is Missions,” after carefully analysis we realized that the church is in need of consistent reminders of the reason and motive for doing missions. We imagined Ellison pondering the thoughts of an imaginary senior pastor who is thinking to himself, “All I have to do is be faithful and make disciples in my own congregation.” If Matthew is writing for that senior pastor (and for others who think similar thoughts), then we need this chapter. Obviously he is writing for all of us who long to follow Jesus. 1. “Why are we involved in Missions?” Because God’s heart beats for the nations. Here Matthew does a fine review of the biblical texts that highlight Jesus’ Great Commission. We especially like his observation that the Luke 24 conversation with the disciples actually draws from the Law and the Prophets. Here Ellison wraps OT missiology into Jesus’ commissioning as a reminder that the threads of mission are in both testaments. Though we might prefer that he (and Spitters) avoid reliance on the disputed Mark 16:15 passage, the church needs a constant reminder that beckons us back to God’s motivations and passions. 2. “Why are we involved in Missions?” Because salvation is found only in Jesus. Though this idea is central to a biblical missiology and considered by classical Christian theology and history to be too important to overlook, the uniqueness and centrality of Jesus is all too often misunderstood in our pluralistic society. Ellison admits to being concerned that so many evangelicals argue vigorously for the reality of hell and for salvation only through Christ while seeming “to pay so little attention to the unreached who sit in darkness and under the shadow of death” (p. 53). This first point highlights a crucial matter that demonstrates the integration of theology with missiology. For further reading on the relevance to missiology of Ellison’s concern, note the useful articles in the “Perspectives on the World Christian Movement” text by Charles Van Engen, (“The Uniqueness of Christ,” ch. 30, p. 176-182) and Ajith Fernando (“The Supremacy of Christ,” ch. 31, p. 183-192). Also in Christopher Wright’s “The Mission of God,” ch. 4 (p. 105-135) is titled “The Living God Makes Himself Known in Jesus Christ.” There is a world of material available to the budding missiologist to buttress Ellison’s second reason as to why we should be involved in missions. 3. “Why are we involved in Missions?” Because our churches can’t afford not to do missions. To argue this point, Ellison gives a case study of a Michigan church that became dynamically involved in Senegal (pp. 54-56). This is one of the highlights of this chapter as it gives a practical window into how a local church can get radically engaged in reaching out cross-culturally. Matthew makes a compelling case as to how sending missionaries (from Michigan to Senegal, in Ellison’s example) has greatly benefitted the local ministry in which the church was already engaged in Detroit. 4. “Why are we involved in Missions?” Because we are called to know God and make Him known. Here Matthew expands on Isa. 6:1-8, a text we have both heard him preach. He states that Isa. 6 is “…one of the most significant mission passages in all of Scripture” (p. 57). We can attest that this is Ellison’s heartbeat. Arguing that “…we do not commend what we do not cherish…” (p. 59), Matthew (using helpful quotes from Tozer’s “Men Who Met God”) challenges the reader to pursue a true encounter with God. Missions must always start with God and progress to the people of God who are jealous for God’s glory if a “healthy missionary zeal” is to be achieved. For further reading on this vital theme, we recommend (in the “Perspectives on the World Christian Movement”) Steve Hawthorne’s “”The Story of His Glory” (ch.8, p. 49-63). Hawthorne argues that we need to “deepen our motive base to “a love for God’s glory,” and to “define the task as expanding God’s glory” (p.63). Also, in the same text, Tim Dearborn’s “Beyond Duty” (ch. 10, p. 70-73) goes for the jugular when he makes the case that focusing on obedience to the Great Commission is the wrong starting point as it locks us into a human-centered perspective (70). His insightful quote clearly underscores the point Ellison is making here: “It is insufficient to proclaim that the Church of God has a mission in the world. Rather, the God of mission has a Church in the world” (p. 70; echoed by Wright in “The Mission of God,” p. 62). If we are to develop a vigorous, biblical missional ethos, the Church must begin with our love and worship of the Lord. 5. “Why are we involved in Missions?” Because the Lamb deserves His reward. Any reader who has been around missions for very long will recognize the source of this fifth motive for doing missions as coming from the ethos of the 18th century Moravian missions movement founded by Count Zinzendorf. As their first missionaries departed for far off places, their cry drifted from their ship back to shore: “May the Lamb that was slain receive the reward for His suffering!” Ellison does a great job of telling of the central role that the worship of Christ played in launching one of the most phenomenal missions movements in church history. This Moravian slogan welcomes the church of the 21st century back to its historical 18th century missiological roots. What difference would it make to the American church today if our motives focused on “the Lamb getting the reward he deserves”? A valuable contribution to this fifth motive is Matthew’s sharing his own personal experience with the uneaten portion of the communion elements in a Mexican church. The Mexican pastor used the remnants of the communion service to passionately illustrate to his congregation the reality of unreached peoples who have yet to eat from this table. Chapter three is an extremely valuable contribution to the tools available to help churches get on track in missions. Every church missions committee chairperson would benefit by using these five points to remind the team about the committee’s (and the Church’s) raison d’etre.